I want to congratulate the Duke and Duchess of Cambridge with the birth of their still-unnamed daughter! She will be ‘Her Royal Highness Princess (name) of Cambridge’ and I thought it would be fun to take a look at the previous Princesses of Cambridge. 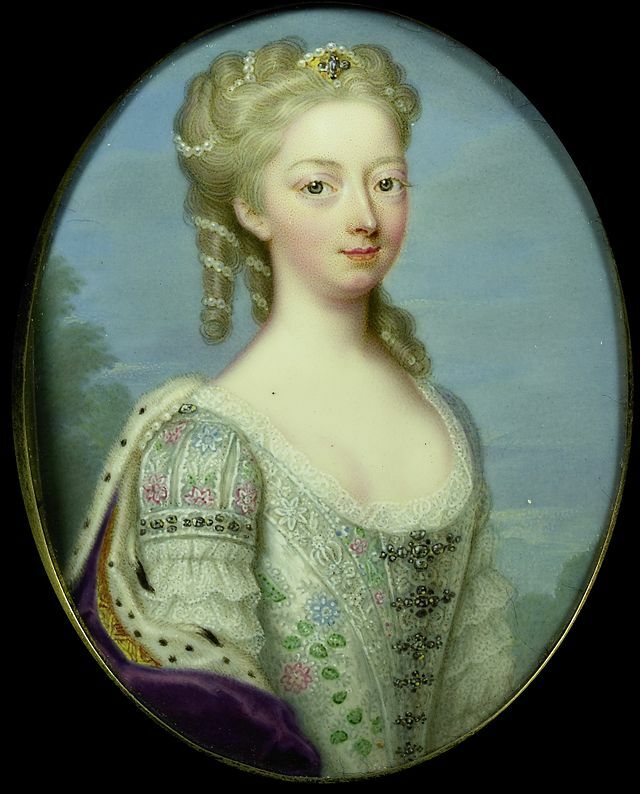 Amelia of Great Britain (1711 – 1789) Never married. 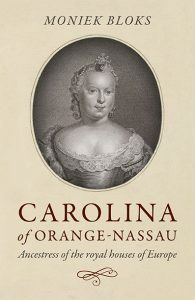 Caroline of Great Britain (1713 – 1757) Never married. The title merged with the crown upon George II’s accession. The fourth creation of the title was for Prince Adolphus, the seventh son of George III and Charlotte of Mecklenburg-Strelitz. He was created Duke of Cambridge on 17 November 1801. He married his second cousin Augusta of Hesse-Kassel and she was then styled as Duchess of Cambridge. They had three children of which two were girls. Augusta married her first cousin Frederick William of Mecklenburg-Strelitz at Buckingham Palace on 28 June 1843. They had two sons but the elder died the day he was born. She became Grand Duchess of Mecklenburg-Strelitz in 1860. She frequently visited England in later life and even bought a house in London. During the First World War, her British pension was suspended. She died on 5 December 1916 in Neustrelitz, Germany. She was then 94 years old! She was the longest living Princess of the Blood until the record was broken in 1977 by Princess Alice, Countess of Athlone. Mary is perhaps the best known of the two Princesses of Cambridge. She was born in Hanover and spent her early life there. She returned to London upon the accession of Queen Victoria and lived in Kensington Palace. Mary was still unmarried at the age of 30. She had little income and was not considered physically attractive. However, because she was royal, she could not marry someone, not of royal blood. 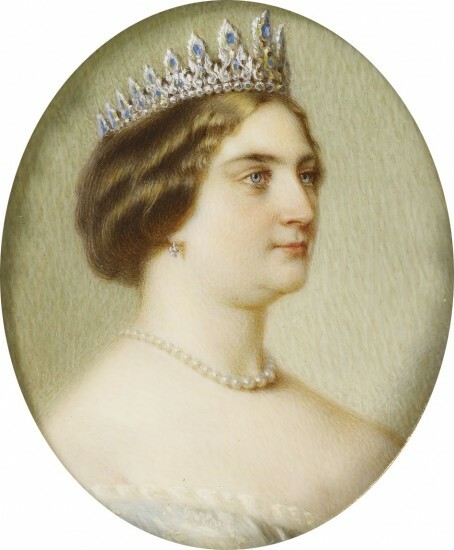 Queen Victoria attempted to set her up with a suitable husband. Eventually, a candidate was found in Württemburg. Prince Francis of Teck was a son of a morganatic marriage and had no succession rights in Württemburg, but he had a princely title.They were married in St. Anne’s Church in Kew on 12 June 1866. Mary, now titled Duchess of Teck, carried out royal duties and the couple lived in London. Francis was never granted the style of Royal Highness, but eventually, in 1887, he was promoted to Highness. They had four children, one daughter and three sons. Her daughter, also named Mary, was engaged to marry Prince Albert Victor, Duke of Clarence and Avondale, the eldest son of the future Edward VII but he died during the engagement. She eventually married his brother Prince George, Duke of York, who later became George V and thus the Duchess of Teck was the mother of a Queen. 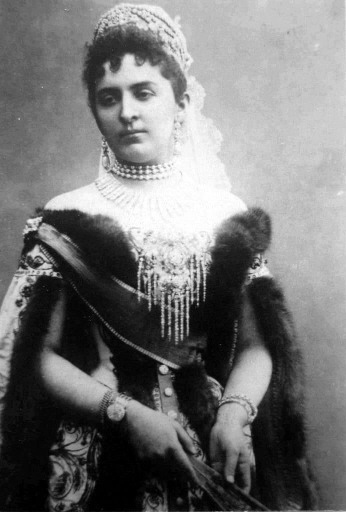 She never saw her daughter crowned as Queen, though, as she died on 27 October 1897. The Duke of Cambridge title passed from Augusta and Mary’s father Adolphus to their brother George. 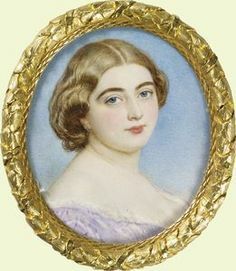 George was considered as a husband for his first cousin Queen Victoria but she eventually settled on Prince Albert of Saxe-Coburg and Gotha, also her first cousin. George was a great opponent of arranged marriages and he married in contravention to the Royal Marriages Act of 1772 to Sarah Fairbrother. Because of this, she was not styled as ‘Her Royal Highness the Duchess of Cambridge’. It was not a happy marriage and he often had other affairs. They had at least three children, all sons. So even if there had been a daughter, she would not have been a Princess of Cambridge! The sons carried the last name ‘FitzGeorge’. The Duke of Cambridge title became extinct upon his death until it was revived again for Prince William. And now we can add the little Princess of Cambridge here! All we know so far is that she was born at 8.34 AM and weighed 8 pounds 3 ounces. She will also hold her place in succession even if younger brothers follow since the Royal Succession Act 2013 is now in full force. A pretty historic moment if you ask me!